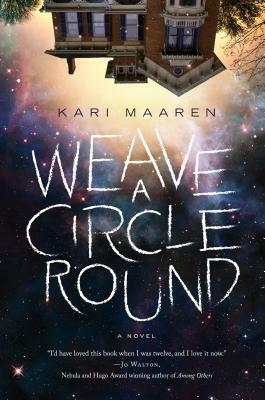 For me, Weave A Circle Round was a 4-star read. I really enjoyed the premise, and I thought Maaren handled the time travel aspects of the tale well. The difficulty I had was connecting with the characters. Although billed as YA, given the age of the protagonists, I would term this middle-grade to younger YA. I didn't feel a deep connection with them; however, I did enjoy their witty banter. Regardless, I was hooked on the plot and I appreciated how the story ended. It is certainly a magical tale and a stunning concept. I don't want to say more for fear of spoilers!